« Grammar, ghosts, math, magic . 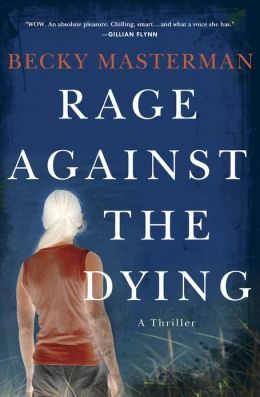 . .
Keeping secrets, telling lies, they require the same skill,” says former FBI agent Brigid Quinn near the beginning of Rage Against the Dying (St. Martins, digital galley), an engrossing first mystery from Becky Masterman. But Brigid will have to call on all her old skills when the local FBI office busts a truck driver with a mummified corpse in his cab and who claims to be the infamous Route 66 serial killer. Floyd Lynch certainly knows the creepy details of the murders that were kept from the public, and, in exchange for a plea deal, he’ll lead them to the body of Brigid’s young protegee, Jessica, who vanished years ago while on the job. Brigid is brought in to help tie up the loose ends, like contacting Jessica’s widowed father, but then begins to doubt Lynch’s confession. Masterman uses many of the traditional serial killer tropes, including icky forensic details, but she puts enough spin on the plot and convincing characters to make Rage Against the Dying something singular. Although let’s hope that this isn’t the only adventure for feisty, flawed “Stinger” Quinn. 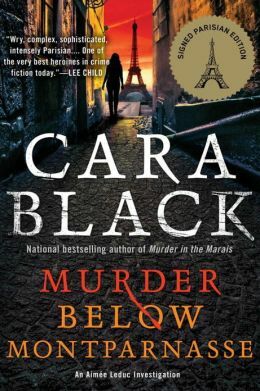 Intrepid and chic Parisian PI Aimee Leduc is once again running in heels on the cobblestones, and/or racing her Vespa through the dark honeycombs of the City of Light in Murder below Montparnesse (Soho Crime, digital galley), the 13th entry in Cara Black’s winning series. Of course, it’s just Aimee’s luck that she’s a passenger in a borrowed classic Citroen when it runs over a man in the scruffy bohemian neighborhood. The painting may well be a long-lost Modigliani, and Aimee’s week goes from bad to worse as she encounters vengeful Serbs, moneyed Russians, conniving heirs, murderous thieves and cunning cops, or flics. Meanwhile, her business partner Rene is discovering his new job as a Silicon Valley security consultant comes with unexpected strings necessitating a sudden flight to Mexico. Just wait until he hears about his beloved Citroen. The fast-paced narrative cuts back and forth between the two detectives before a startling finale that promises big changes for Aimee and company. 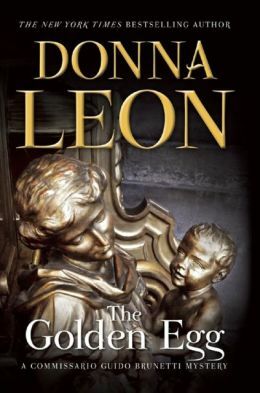 Just as Black immerses readers in Paris, so does Donna Leon with Venice, contrasting its splendid architecture, art, culture and history with corruption and crime. Commissario Guido Brunetti is again our guide in The Golden Egg (Atlantic Monthly, digital galley), the 22nd book in the series and one that hinges on murderous greed. When Brunetti looks into the apparently accidental death of a deaf and mentally challenged man, he is surprised that there’s no official record of his existence. The man’s secretive mother, who once worked for the wealthy Lembo family, claims her only child’s identification papers were stolen long ago, and she’s reluctant to cooperate with Brunetti’s investigation. 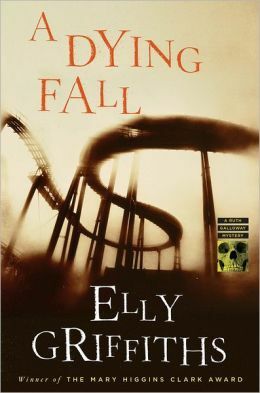 The mystery surrounding the identification of old bones puzzles forensic anthropologist Ruth Galloway in Elly Griffith’s intriguing A Dying Fall (Houghton Mifflin Harcourt, digital galley). Ruth is shocked to learn of her university friend Dan Golding’s death in a house fire, especially when she receives a letter from him written right before his death. In it, he hints at a major archaeological discovery connected to Arthurian myth, but he thinks his life might be in danger. Not surprisingly, Ruth is invited to look at Dan’s discovery by his Lancashire university and its underfunded history department. With her druid friend Cathbad along to help take care of her toddler daughter Kate, Ruth arrives to find something amiss with the bones in question and a nasty atmosphere on campus fomented by local white supremacists. By coincidence, DCI Harry Nelson, Kate’s father, is vacationing with his wife in his nearby hometown of Blackpool, and soon involves himself in the various investigations. Griffiths continues to combine modern mystery with ancient history in inventive ways as she also explores Ruth’s complicated personal life. When it comes to complicated lives, St. Louis district attorney Jack Hilliard trumps everyone in Julie Compton’s Keep No Secrets (Fresh Fork Publishing, digital galley), a sequel to her first legal thriller, Tell No Lies. Four years after the events of that book, Jack is still married to Claire and slowly earning back her trust after a fateful one-night stand with Jenny Dodson. But his life is upended once again when Jenny returns to town, claiming her life is threatened and that she needs his help. Then his teenage son’s troubled girlfriend Celeste accuses him of sexual assault after he gives her a ride home, and Jack becomes a defendant fighting to keep his professional life and family intact. I’m not usually a fan of presumed-innocent plots, but Compton’s skill at meshing several storylines, detonating any number of secrets, and delineating credible characters kept me flipping pages, hoping that truth, justice — and Jack — win the day. Open Book: Credit to Open Road Integrated Media, the digital publisher that is celebrating March not only as Women’s History Month but also as Women’s Mystery Month. At www.openroadmedia.com, it has a video, an infographic and a blog post charting the history of women in crime fiction. The company also publishes e-books of mysteries by such late greats as Charlotte MacLeod and Charlotte Armstrong. I was vastly entertained by the digital galleys of MacLeod’s The Family Vault and Armstrong’s The Case of the Weird Sisters. 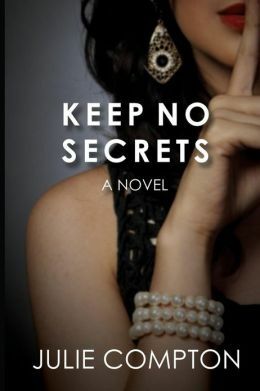 Also, I know Julie Compton as a fellow Central Florida writer, although we have yet to meet for lunch to celebrate the publication of Keep No Secrets. Maybe next month. OK you’ve got me excited about the Masterman book, and of course I need to read Elly Griffith and Julie’s new book! This is a great stack of brain candy for me.